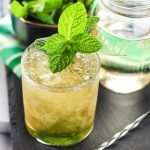 I know the Kentucky Derby isn’t until May 7th this year but I can’t help but share this Classic Mint Julep Cocktail Recipe now. 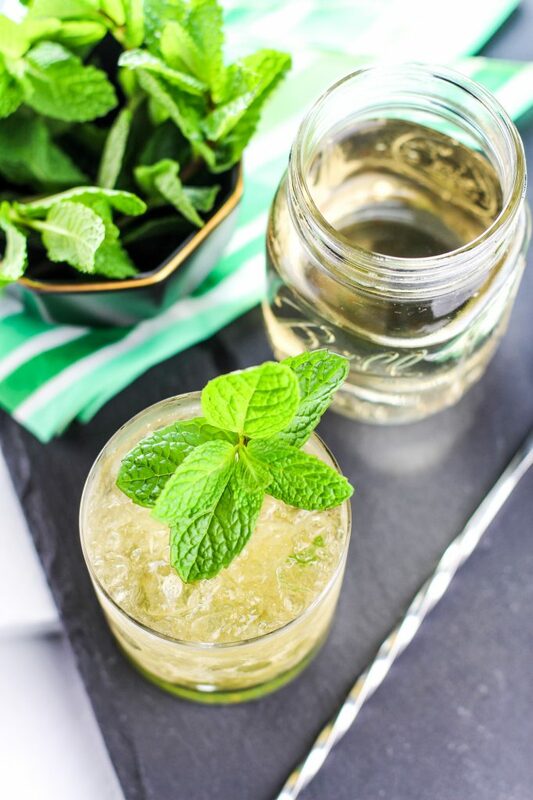 It is the perfect Spring cocktail! Do you have any spring traditions that you do every year? This cocktail makes me think about sitting outside on the front porch and soaking up the sun. Do you watch the Kentucky Derby? I feel like it is one of those sporting events I always end up watching without really planning on it. 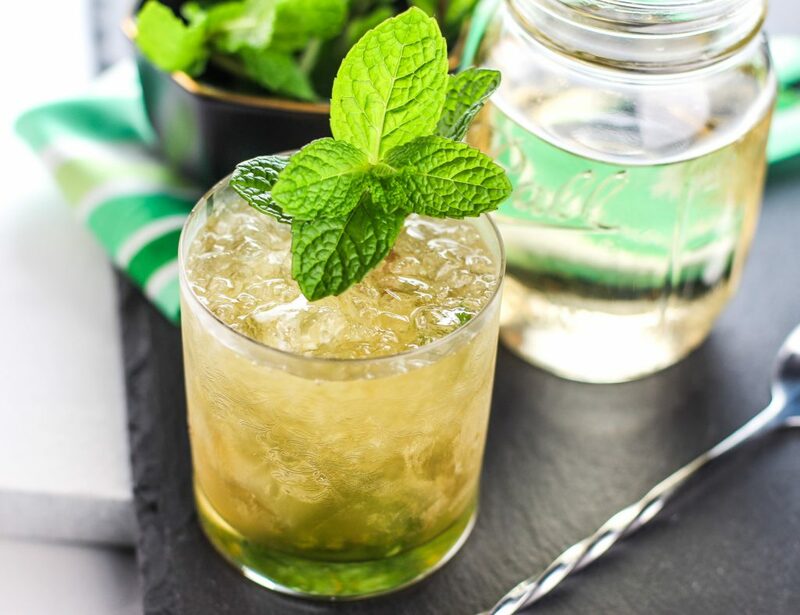 Did you know that each year over 120,000 Mint Juleps are served over the two days of the Kentucky Derby! 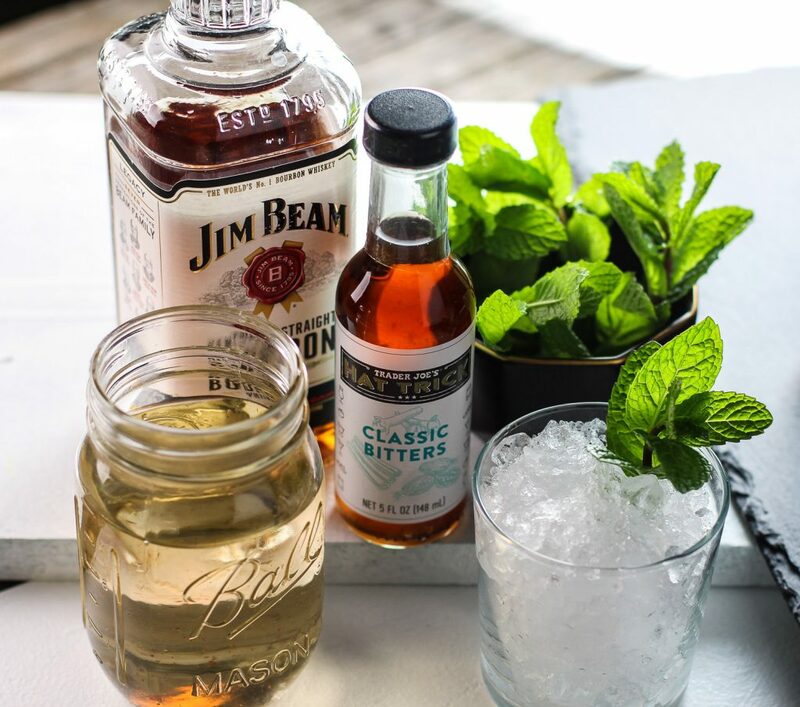 You can even order a special edition Mint Julep costing $1000 that is served in a gold-plated cup with a silver straw. 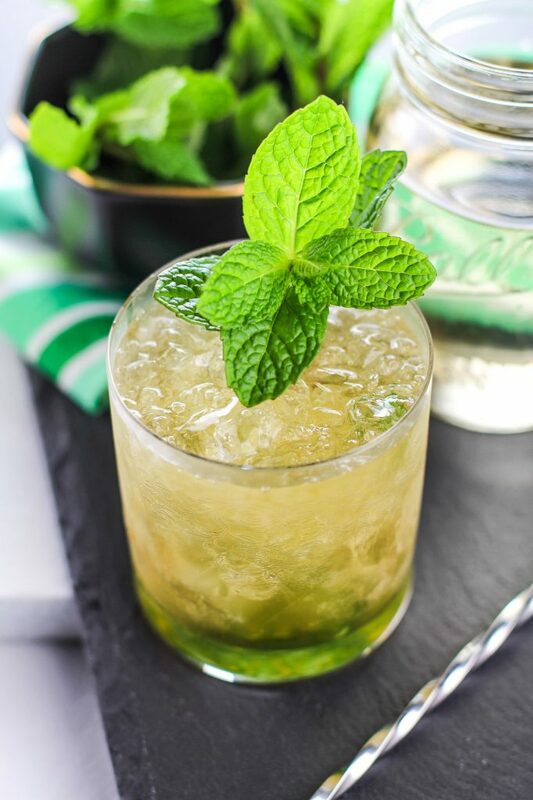 The mint julep is a cocktail built in the glass it is served in, which makes for a rather simple, straightforward, and refreshing drink. Muddle two (2) mint leaves into the bottom of a glass, add simple syrup and stir. 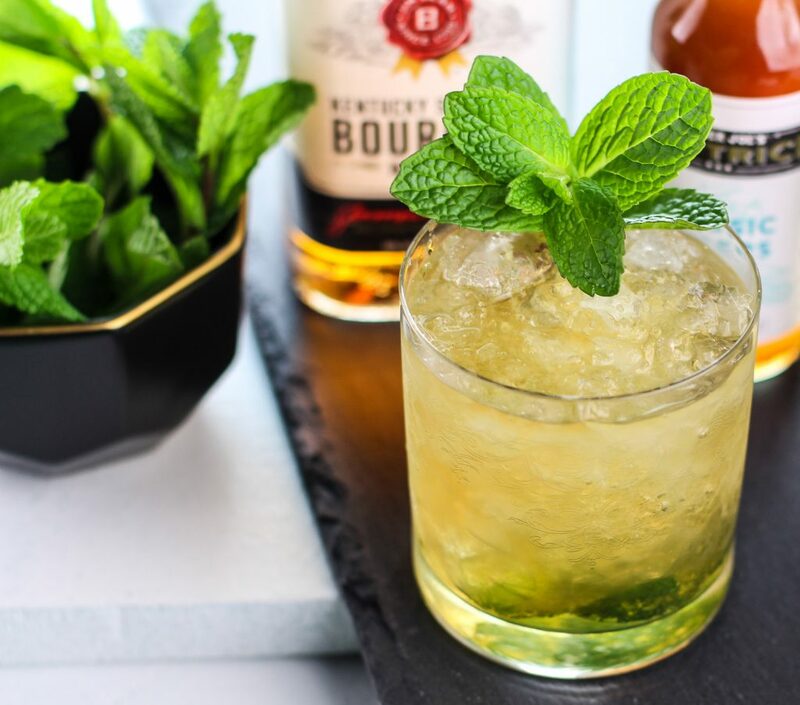 Top with crushed ice and a measurement of your choice of Kentucky bourbon. Using a long-handled bar spoon stir ice until the glass is cold. Drizzle a 1/2 ounce of hibiscus syrup. thank you for posting. I’ve never had one from scratch before and I love them! !